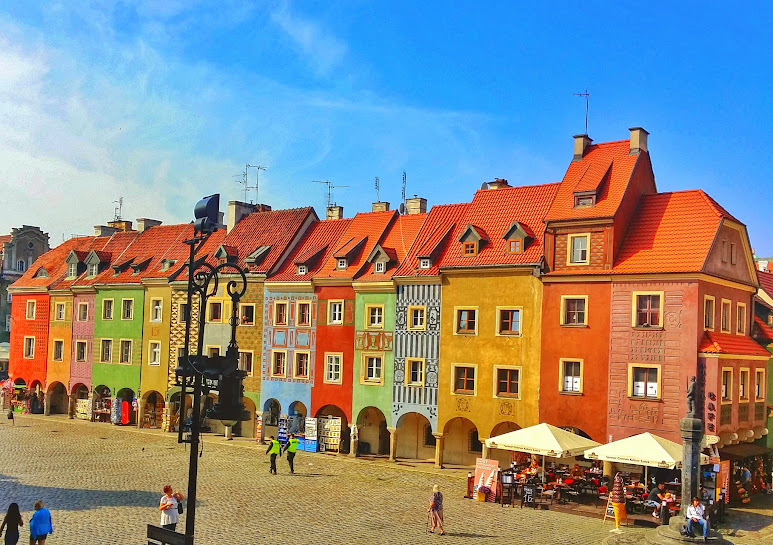 I LOVED Poznan’s Old Market Square. It’s one of the prettiest market squares I’ve seen anywhere in Europe. 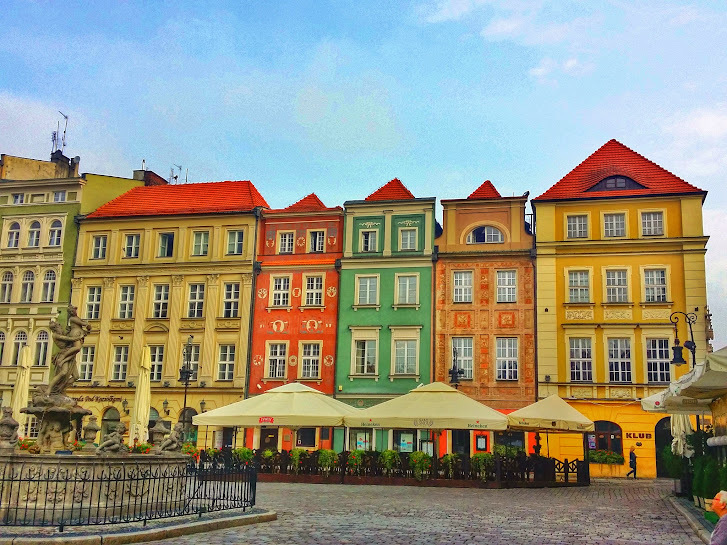 So now that you’ve had a virtual journey to Poznan’s Old Market Square, do you agree, is it one of the prettiest market squares in Europe? Coloured buildings in the Old Market Square of Poznan. There are many restaurants in the square where you can take your time and soak up the atmosphere. 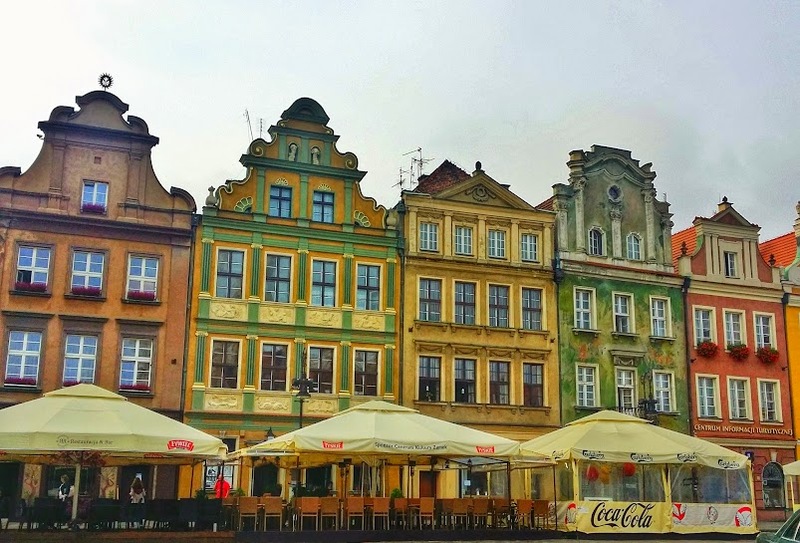 These buildings were among my favorite in the Old Market Square. 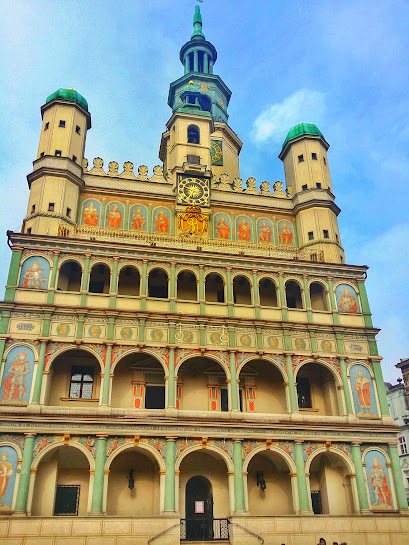 The historic Poznan Town Hall stands in the centre of the square. If you’re really lucky, you may even hear a live performance from one of the top floors. 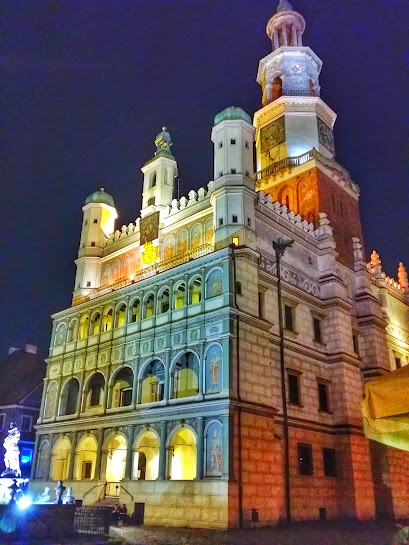 The historic Poznan Town Hall at night. 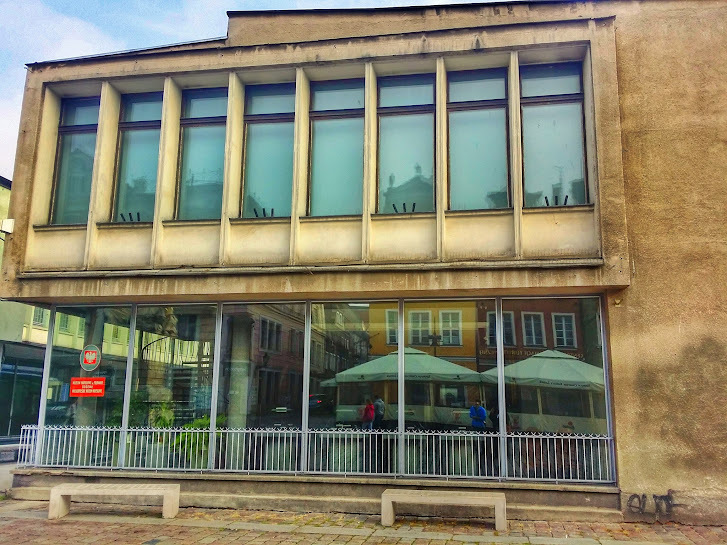 The Register’s Office in Poznan is where all marriages take place. “Punishment Post” is where public humiliations occurred in previous times for all to witness, but today it serves as a popular meeting point. 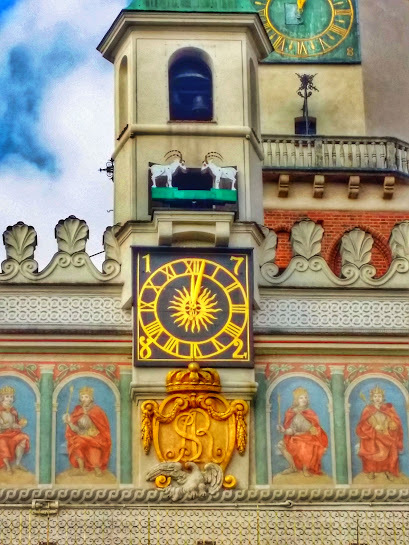 Mechanical goats “fight” everyday at 12:00 near the top of the Poznan Town Hall. It’s a very popular tourist attraction that always draws a crowd. The “ugly” building from Stalin’s time has historical significance and therefore has remained in the square. Although unattractive it might be, it does represent an important part of Poznan and Poland’s history under Communist rule. According to the locals I spoke to, nobody really knows what to do with it and there are debates as to whether it should remain, but for the time being at least it does. 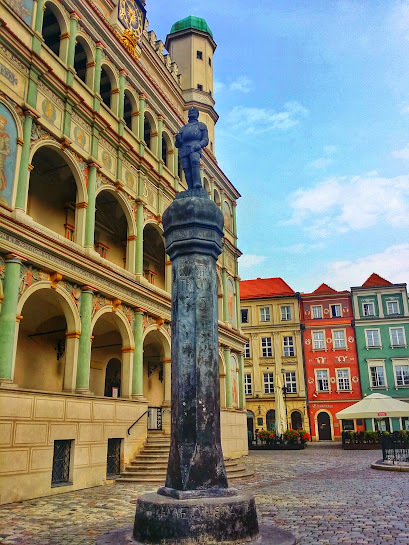 For further information on the Old Market Square visit Poznan Tourism which provides a timeline of the square from 1253 through to present day. 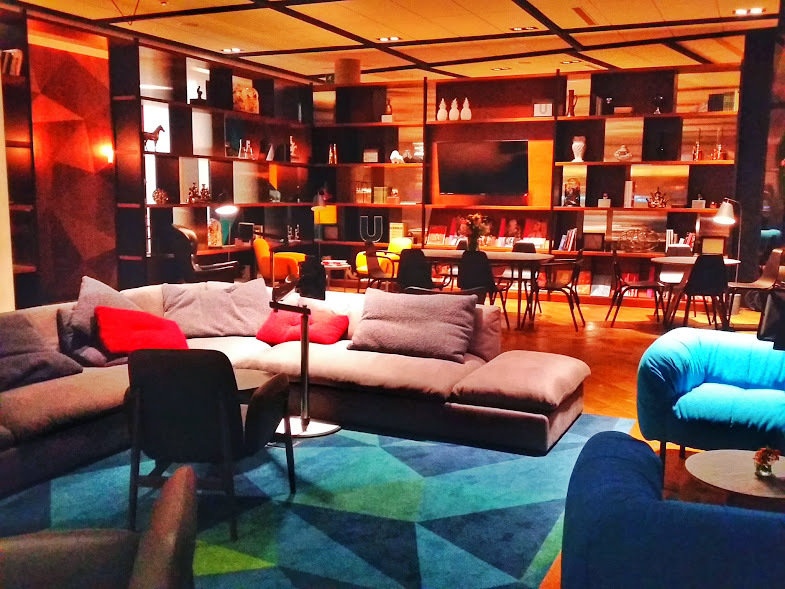 I loved the lobby of the newly opened PURO Hotel in Poznan – chic and comfortable AND close to the Old Market Square. The airport is located just 7km west from the city centre making it very accessible. You can take a taxi, as I did which costs ~30 Złoty (~€7), or one of the four bus lines that run between Poznan airport and the city centre. The most convenient of these is Line L, an express bus that runs between the airport and the main train station. The price for the regular buses and the express bus is the same – 4.60 Złoty (~€1.60). It’s worth noting that although Poland is part of the European Union, it does not use Euros, but Polish Złoty. It’s worth exchanging some of your money from Euros into Złoty at the airport so that you can pay for your bus or taxi ride. At the time of writing the exchange rate was 1 EUR = 4.18 Złoty. Note: My trip to Poznan was made possible via theCity of Poznan always all opinions expressed are my own. They did not make me fall in love with the square – I did that all on my own. Very colorful and unique building structures. Must say it looks like a great place to visit. 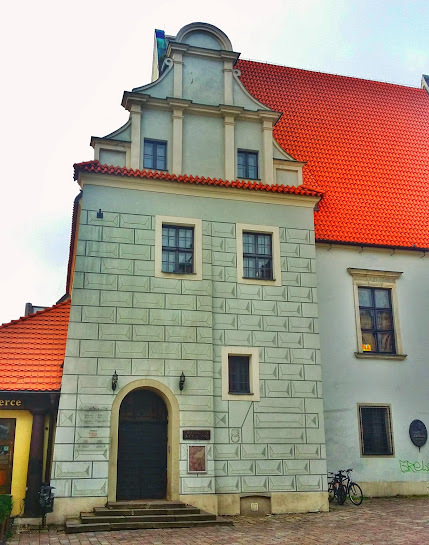 I Visited Poznan in Sept 2016, u have well captured it. Its a beautiful place....i would visit it again and again. @Alex - So glad you enjoyed your visit, and agree, it's a place that you could keep returning to.